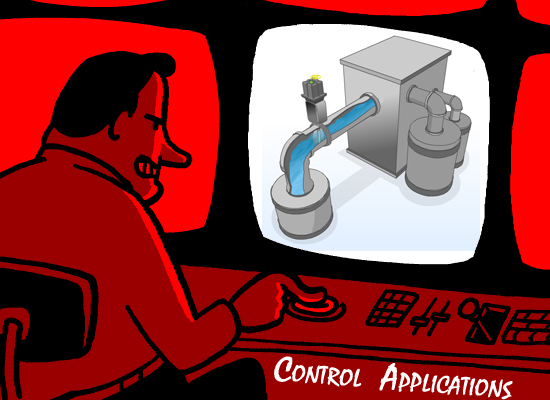 Control Valves vs. Regulators in Control Applications | Indelac Controls, Inc.
Understanding the differences between regulators and control valves is crucial in the automation industry. Each of these holds equal importance but have different functions and also operate in a different way. It is important to be knowledgeable about both solutions so that control process designers do not engage in major problems or waste money and resources. First, in order to understand the differences between regulators and control valves we should look into the components of each. In terms of design, a typical control loop allows control valves to employ a range of process variables. This depends on which variable is being measured for control (flow, level, temperature, pressure…). The process control variable is first measured by a sensor or transmitter and then sent to a host control system. More times than not, this system is known as the DCS or Distributed Control System. This system is responsible for interpreting how the valve should respond to a deviation from the set point value (predetermined). After this occurs a signal is communicated back to the DCS control which in return reports the degree of which the actuator needs to close or open the valve in order to return back to the predetermined set point. Operationally, the main difference between a control valve and a regulator is that regulators are better defined as process powered valves without the demand for an external power or even an instrument air source to operate. Typically, a regulator applies the pressure of the controlled process fluid against a diaphragm. The same diaphragm then rejects a compressed spring in order to achieve forced balance with the diaphragm at a given set pressure. If there is any change in the controlled pressure the diaphragm is forced to move. This then causes the flow area of the regulator to change which allows more or less process fluid to flow. Since the use of process fluid pressure is a means for control, regulators are functional as pressure control valves. Another difference comes in relation to the design pressure rating of the body of the regulator. Control valves are able to handle the same pressures on the outside of a valve as they are on the inlet side. However, a regulator may have a lower pressure rating on the control pressure side of itself (the regulator). Why? You might ask. This is because the process fluid pressure is being directly applied to the components of the diaphragm casing. One more difference is speed. Compared to control valves, a regulators speed of response is faster. Regulators are able to respond instantly to changes occurring in the controlled pressure. As far as maintenance they are also easier to maintain and have no volatile emissions. Control valves, however, are available in larger sizes and are in higher pressure classes than regulators are. Regulators, usually, are associated with a lower cost for maintenance and installation. But it is also important to keep in mind that many projects spec in the use of an actuator with its valve for their control applications. This is also known as blanket gas control and is the process of maintaining the pressure of a mass of inert gas at the top of a tank or container which prohibits contact with the outside air. Regulators are often used for the pressure-reducing valve as well as for the back pressure regulator because they are able to monitor the tank pressure directly as well as respond more quickly to any changes. However, it may be necessary to use a valve with a throttling actuator if it is not possible to set a safety relief valve to a pressure below the design pressure of the regulator. In oil and gas production, maintaining production pressure coming from the rig is critical. The wellhead pressure is continuously varying. This means that a positive differential pressure from the pipeline must be maintained without the line being over pressured. If the extraction happens in an area where power supply is available, control valves can be used. However, some production sites are located in remote areas and thus do not have access to power supply, eliminating valve actuators as an option. Regulators, on the other hand, are capable of maintaining differential pressure between the reference point and outlet pressure without the use of power supply. This can be understood as an application that commonly uses a control valve and a regulator together. In normal operational standards, a large volume of gas is required to fuel the system. This typically results in using a high-capacity valve used for control. Often times the term known as service is applied to automation applications where things such as excessive vibration, cavitation (formation of vapor cavities in a liquid causing excessive wear), or flashing occur due to excessive pressure drop across the valve. If bubbles or flash evaporation with moderate pressure drops are expected, or any pressure drops, regulators should be avoided. Control valves have trim designs capable to manage wide variations or extreme spikes of pressure as well as reduce potential damages due to cavitation. 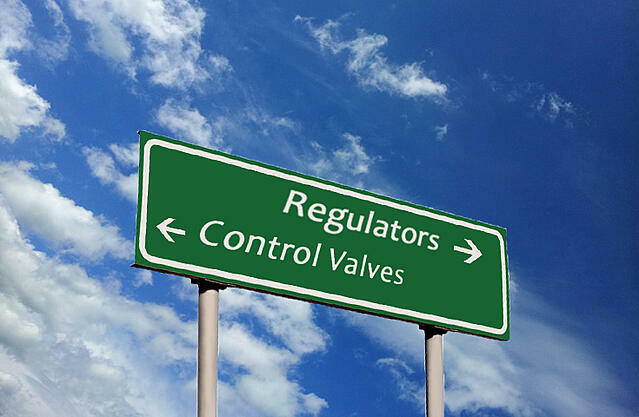 Understanding the differences between regulators and control valves is crucial in the automation industry. Each of these holds equal importance but are different in the way they function and operate. If one understands the capabilities and functions of valve actuators as well as regulators, those whom are tasked to select from the two options will be able to select with confidence.